Why is email marketing a vital tool for small businesses? Mainly because it's fast and cheap. But that's not all - email marketing offers opportunities to directly target messages to the right people at the right time. Email marketing can present some pitfalls, however. Random and constant emailing will be seen as spam. You must have permission to email the recipient, and if you want people to respond positively, you must send messages that are genuinely of value to them. 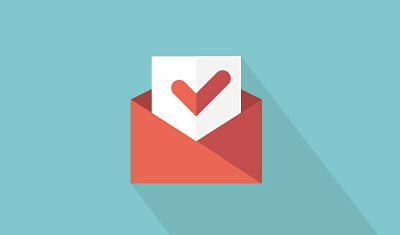 Here are some top tips we've gleaned from our own experience of email marketing. Avoid asking for unnecessary information. For example, you don't need to ask for postal addresses. When people are confronted with this they are more likely to drop out. Make it eye-catching on your website, e.g. by using a pop-up or an envelope symbol. What's the hook? People need a reason to sign up. Tell them what to expect from being on your newsletter list. You could incentivise it, e.g. offer a free online course or white paper, or perhaps a discount code if you run an eCommerce site. Research your competitors. This can be very valuable. Look for things that your competitors aren't doing, or are doing badly. Sign up for lots of newsletters and use those ideas for inspiration (but we're not encouraging you to plagiarise!). Hold back some unique content. If you share identical content across all your marketing communications including your newsletter, customers will find little value in it and may unsubscribe. Think about your audience and write as if you are addressing just one person. Don't make it too long, and be concise. Think about what you intend the user to do at the end of it. What action do you want them to take? Get consent – opting in is a legal requirement, although many businesses see an exchange of business cards as permission. Check if you need ICO registration. You can complete a self-assessment quiz on the ICO website. Avoid using your own email client such as Outlook or Gmail - deliverability can be reduced, especially if you're on shared server. It's better to use a sending service such as MailChimp. Do list housekeeping. This helps to cut the volume of non-openers. Make unsubscribe very easy. This is another legal requirement. If people can't find your unsubscribe link they will mark your email as spam - and that will ultimately count against you. If using images, keep file sizes small. Use personalisation, at a minimum the recipient's first name. As well as being polite, this helps to start a positive relationship. Plan your activity. This prevents you from repeating yourself. It's worth taking a bit of time to think about what you're doing (and why) before you hit that 'Send' button. Follow some of our tips above and you're more likely to get a higher open rate and avoid the spam folder. And our best tip: only send when you have something of value to say.